Well my blog post yesterday drew way more attention that I thought it would. Part of the attention was a comment from the esteemed Ben Armstrong (twitter & blog). He provided wonderful feedback and I have decided to highlight it here with my response. Not sure if I am breaking a blogosphere rule but, I shall claim etiquette ignorance and proceed. Customer encounters a problem with Windows NT 4.0 on Hyper-V. They contact Microsoft – who after investigating the issue declares that “sorry – this is a bug in Windows NT 4.0, and even though we said we supported Windows NT 4.0 on Hyper-V we did mean that we supported Windows NT 4.0″. I completely understand the predicament around legacy Windows versions. Because of the dual ownership, Microsoft does have to maintain standards around support. But, I disagree that at a higher-level this is a problem. I see this as the difference between strategic and tactical viewpoints with hypervisors (great post on this from Steve Kaplan here). Let’s say we have a customer that has 20 legacy servers running Windows NT 4.0. They don’t have the budget to purchase replacement software, the original application creator is gone (and they didn’t have the source in escrow), and it is completely incompatible with new OS server versions. With Hyper-V not only will they not be able to P2V (physical to virtual migration) these servers. They also would get zero support from Microsoft for Hyper-V hosts that encounter issues with these VM‘s. There is a built-in out for the support person on the other end of the phone. This translates into an implementation impossibility and extreme operational risk. With VMware vSphere, not only is the P2V actually supported (allowing abstraction of the OS) but the VM’s themselves are supported on the hypervisor. That means if there is a specific issue with hypervisor configuration VMware will support, fix, and help with making this successful. I know people that have not only successfully virtualized legacy operating systems but, have also done it with extremely proprietary configurations (@tscalzott). The hypervisor is a layer and a toolkit meaning the intent is to provide abstraction as well as options for business needs. Hyper-V is missing these options which, because of the tactical approach MS has, make it more limited in application. My points is the missing options and not an effort to downplay the features it does possess. Microsoft’s (and your focus) on integrated support is because of the tactical approach to the hypervisor. Hyper-V it is built on the same platform as the server product and blends layers rather than abstracts. Support can be integrated but, in an abstraction model that is done successfully (empirically proven with VI3 & vSphere) this is not a critical need. When layers are abstracted you break the dependencies that exist in blended/tactical models. Integrated support is a core marketable value in tightly coupled dependency situations like hypervisor to storage, networking, and server components. In fact, that is one of the primary reasons VMware tightly maintains and accelerates their hardware compatibility list (HCL). Where abstraction does not exist this is essential and with vSphere is assumed by the ESX host. With Hyper-V the HCL is much broader because it is based on the underlying server operating system. But that is because Microsoft has abstracted hardware using the operating system (Windows Server). Problem is, that means all you have done is create another dependency upon a relocated layer. In fact if you think about it, the operating system with Hyper-V is now a layer above and below the hypervsior. This is a completely different approach to virtualization. I am not saying Hyper-V has taken the wrong approach, I am just trying to clarify the real value of each product and the completely different approach. Microsoft has invested interest in businesses moving operating systems to newer Server version from a revenue perspective. Their motivation is inherit in their approach and marketing as evidenced by both the blog & your comments. Why would Microsoft invest major effort in reducing their ability to consume operation system market share? On the other hand VMware’s interest in providing a extremely stable hypervisor with a robust feature-set that will work for as many possible deployment models as possible. They are successful despite the operating system choices of their customers. Being a customer I can testify that VMware support is extremely helpful in supporting guest OS’s on their platforms. While they won’t make changes application configurations (not stated at least), they do posses a massive knowledge base of how to successfully virtualize their long list of possible options. However, in forward looking design scenarios Hyper-V does stand differently against newer Windows Server versions. 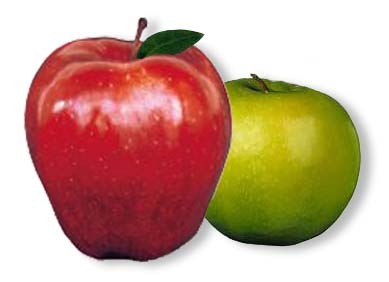 With an apples to apples design using Windows Server 2008 and beyond, the battle is more over the cost, operational capability, and long-term value than support or compatibility choices. Hyper-V does not have options that compete against VMware in heterogeneous operating system space and once you cross that line and make statements against operating system approaches, you have broadened the argument beyond an apples to apples comparison. I really do appreciate the feedback and feel free to hit me back. Nick, Thanks for the kind reference. I think you’ve done a really good job of pointing out some of the inherant conflicts Microsoft faces in adopting a strategic approach to virtualization. You can see this evidenced quite dramatically on Microsoft’s Web site. If you go to the virtualization, Hyper-v and Windows Server 2008 home pages, you will notice very different perspectives around Hyper-V – reflecting the specific Microsoft group that is working with it. As a more or less unbiased spectator, I completely get Ben Armstrong’s argument and sort of miss the point about higher level of abstraction with VMware. Ben is saying that when they mean support they mean *support* as in you won’t get forwarded to someone else. That is *not* what VMware apparently means when they say they support an OS. Good info, not particularly ideological or earth shattering, a possible Hyper-V user should be happy to know that Microsoft owns end user issues to resolution. Full disclosure — we are a VMware and Citrix Ready open storage provider. I think at the core we agree. Sorry if the abstraction piece was distracting to the support discussion for you. It was a higher level comment on the approach to virtualization. I was linking how these differences *lead* to different ideas and avenues on how things are supported between layers. I could question how useful Red Hat or Novell support would be through Microsoft or what market share of Linux shops would ever want to adopt. But that would be just worthless speculation without a specific situation to apply and things are changing too fast to predict. I think there is nothing wrong with Microsoft making these agreements. If fact, these are essential for them to be able to market Hyper-V as a true hypervisor. My point once again is that they are limited in the scope of what Hyper-V can do because of the way they have approached virtualization. Thanks for the comment, really appreciate your feedback. Took a chance to look at your products too, interesting stuff. While I have been around the block with both VMware since the earliest days of ESX to VSphere and I have used Hyper-V and the R2 I can generally say that the FUD is thick and heavy from both sides. I would say up until R2 VMware had a large tech advantage over Hyper-V in both support and feature set. However I can honestly say having used both literally side by side the gap has closed significantly in all areas. Support wise I have seen support from both sides have issues, but when actually getting OS support for either Linux (Red Hat) or Windows Microsoft actually won hands down. They actually were able to solve the Red Hat issue in house without pushing my team off to RH. For Hypervisor issues VMware was stronger in correcting issues. Most likely to larger install base and better trained support for their product because of such. As for the Live Migration versus Vmotion, I am sorry it is very very close to a tie in every scenario I tested in a similar loaded setup. Ironically I found when doing one system VMware was a bit faster, but when scheduling 10 Microsoft had them moved and running on average faster. The thing that has actually moved me more towards the MS setup is when you get into the management side. This to me is where VMware does not compete on a data center level. Silos are bad in IT and although virtualization has revolutionized the data center they have created a management and process silo. This is still something that VMware has not been able to answer. With System Center and the suite of tools it can manage both physical and virtual and even VMware via its controls. Beyond that let us not think that cost does not play in here, especially for many shops now days. You have to by the exact same licenses whether you are running your Windows servers on VMware or Hyper-V. The big thing on that is if you buy Server 2008 R2 Data Center you get Hyper-V and can run any number of Windows VMs on that server at no additional licensing cost. You could have 40 Windows VMs running on there and those licenses are taken care of under the one license. That gives you Hyper-V, Live Migration, and almost all of the other tools, without even having to purchase SCVMM. Now if you buy VMware you could still buy that license, and have unlimited VMs on that host, but you still have to buy VSphere and then additional levels to get vMotion. So I agree there is FUD and I agree there are plays for both sides, but I would not say the gap is near what it is made out to be. Just as a background I have ran VMware ESX inboth smaller shops ~200 servers and large shops ~1200 host. I don’t see vSphere as creating silos. Virtualization as a whole creates a paradigm shift. Blending layers and skills (Hyper-V approach) doesn’t solve a host of issues with that are out of scope. This includes network , storage, and security management. The management from within vSphere is focused on managing the virtualization layer as a whole and all of it’s touch points. It has to integrate with layers above (OS, Application) and below (Storage, Networking, Computing). Microsoft’s approach is still focused from the system admin level and layers above the hypervisor. Managing physical and virtual Microsoft servers is a limited benefit in reality. I don’t think it is a bad move. I just don’t think it is game or decision changing functionality. VMware vSphere is moving towards changing the game while maintaining existing process lines. Examples are the Cisco Nexus 1000v and tools like EMC’s Storage Viewer. It is easy to say that VMware is creating a silo. But, with virtualization completely changing the way infrastructure is consumed and managed, VMware is in a much better position to server large management needs. That said in smaller 100% Microsoft shops, Hyper-V can serve well in use cases. I have seen the numbers on 10GE VMotion (in fact I will post them soon). The efficiency of vSphere is incredible on 10GE and there isn’t much more to squeeze out without compression or more use of bitmapping. I am sorry but I find it very difficult to believe that the above is true with scheduling. I would wager that the vSphere configuration is not ideal. Perhaps a network configuration from poor VKernel config? Maybe you could post the configuration and results for others to test and replicate? So right off the bat you are right. A windows data center license will give me Hyper-V. But, I can play that game too. Technically a ESXi license is completely free and if I am running a oper source OS then I am cheaper. With application-level redundancy I don’t need Live Migration. My point is, it is extremely easy to throw out an ideal model and prove worth with almost anything. If I were to throw out a VDI model for example, all of a sudden all your OS licensing savings disappear completely. But what about cost savings in density? What about cost savings in less storage because of thin provisioning? And what do you do when you need to virtualize 4-CPU Windows 2003 Server? Throwing free OS licensing on top of virtualization can be a short term CapEx benefit; but this is at the cost of many long term benefits. I think what you see from the replies it not so much a counter to say Hyper-V is better or even the better choice. I think what you, at least what I see, is that Microsoft has closed the gap and that they have a viable and in some cases a better option. VMware has a great product and they are not going no where. Hyper-V is a very good option and not just for the little guys. Both side spew out plenty of it. Choice is good and having another solid option can help keep both sides honest. I to have used both side by side and I have no problem saying that both are good platforms.